Snail Games first unveiled their steampunk themed MMORPG at Gamescom last year, but have since been quiet until the release of a brand new trailer at E3. The trailer doesn’t really give much away in terms of what the actual game is aiming to become. 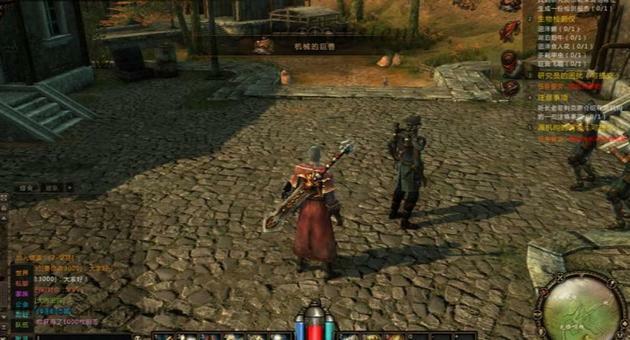 It showcases some typical RPG elements but there’s also hints of FPS style combat and RTS style battles, accumulating together to create what appears to be a truly unique MMO experience. The official website does include some minor details regarding the games features and focal points, but even still it doesn’t appear to directly categorize the MMO title. Open world, dynamic combat scenarios, over 100 available vehicles and a spectacular 3D game world are just some of the boasts featured. Check out the official trailer and make up your own mind. Is Black Gold something worth getting excited about or just more of the same?